Sometimes it seems like the Chevy Volt doesn't get the love it should. Now three years into its 2nd generation, it's crowded out of headlines by other plug-in cars like the Tesla Model 3. Even its own stablemate, the all-electric Chevy Bolt gets more attention nowadays. That doesn't mean the plug-in hybrid can't still impress, though. Case in point? Edmunds is silly delighted that they recently managed to travel 70 miles on a single charge. That's a more than 32 percent improvement over the 53 miles of all-electric range (AER) the EPA rates it at, which is pretty good in our books. So impressed by it was Edmunds that they shared the achievement with us on Twitter, and even included a photograph of the center console display as proof (embedded below). Well, to answer the question posed by our publishing pals, yes, we have seen similar mileage returns from the Chevy Volt. In fact, while 70 miles is a pretty impressive result for almost any driver, one who specializes in hypermiling can do better. A lot better. Exhibit A: Well-known hyper-miler Wayne Gerdes pulled down 111.9 miles in a 2016 example. Of course, it's not practical for most of us to try to eke out that sort of result, but to Edmunds point that one could "...keep in electric mode almost indefinitely," we concur. Volt owners are notorious (in a good way, of course) for not using the range-extending abilities of their cars. We noted an extreme example of this behavior a couple years back when one owner managed to put 100,000 miles on his first-gen Volt, which "only" offered 38 miles of AER, while managing to keep it in EV mode 99.9 percent of that distance. 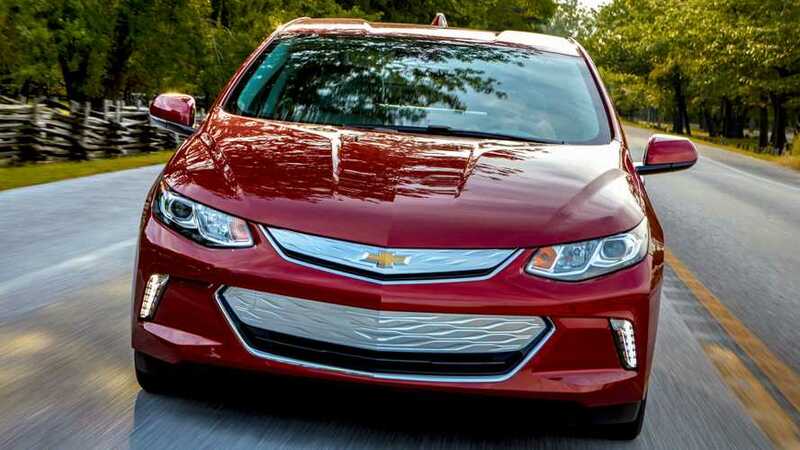 InsideEVs has a number of Chevy Volt owners among its readership, and so we put this question to you too, what's the best AER figure you've managed in your car. Let us know in Comments.